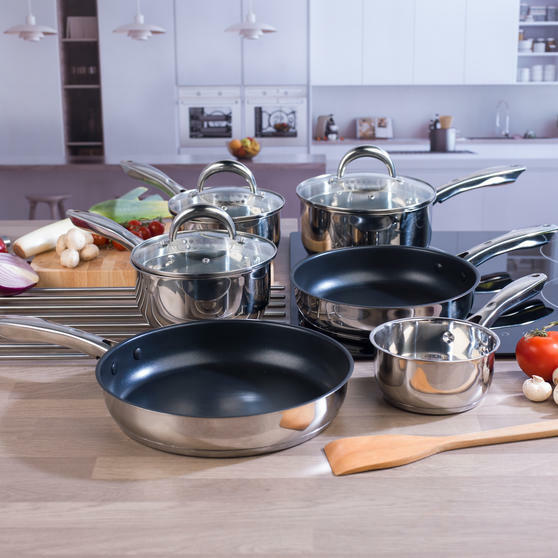 Whether you are looking to refresh your cookware or begin a collection, this charming Russell Hobbs Optimum collection pan set is ideal. 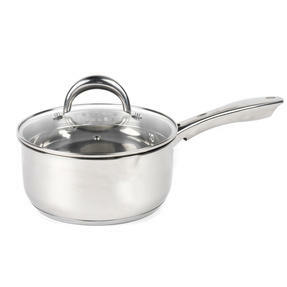 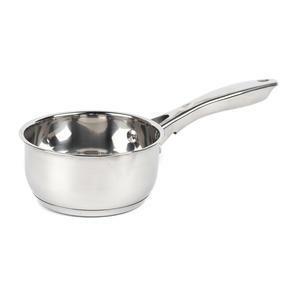 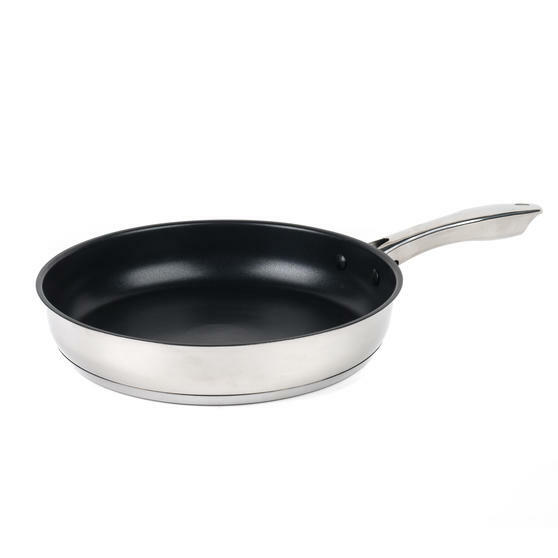 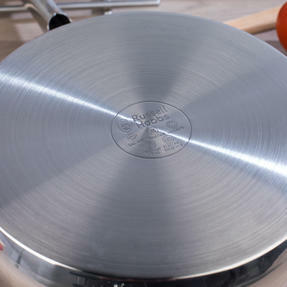 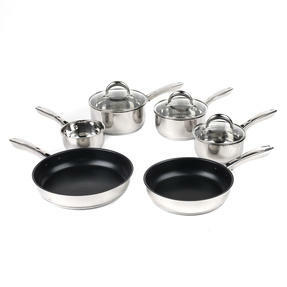 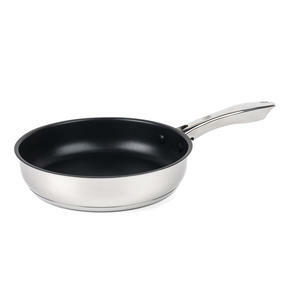 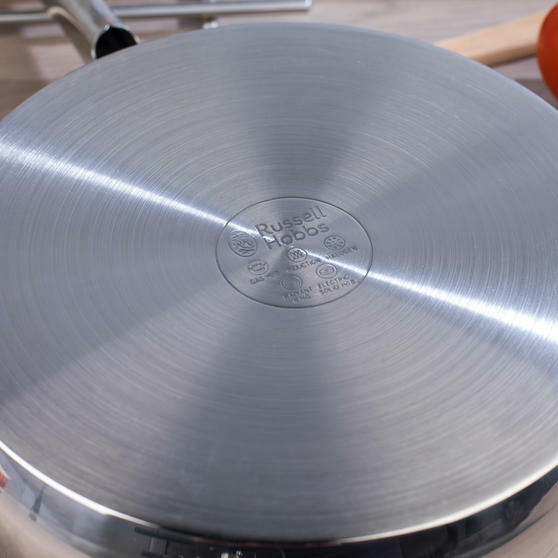 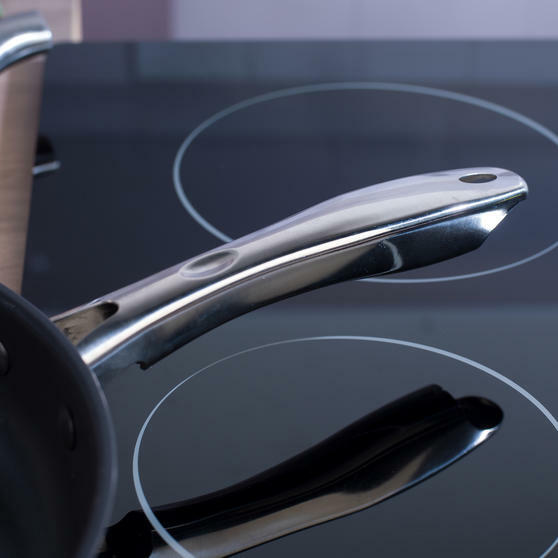 Made from stainless steel with a high quality polish finish, the set consists of a 14 cm milk pan, 3 saucepans measuring 16, 18 and 20 cm and 24 and 28 cm frying pans, the saucepans come with tempered glass lids with a steam vents. Each of the fantastic mirror polish pans has secure stainless steel handles so you can lift them effortlessly during use. With a 14 cm milk pan, 3 saucepans measuring 16, 18 and 20 cm as well as 24 and 28 cm frying pans, the set has everything you need.